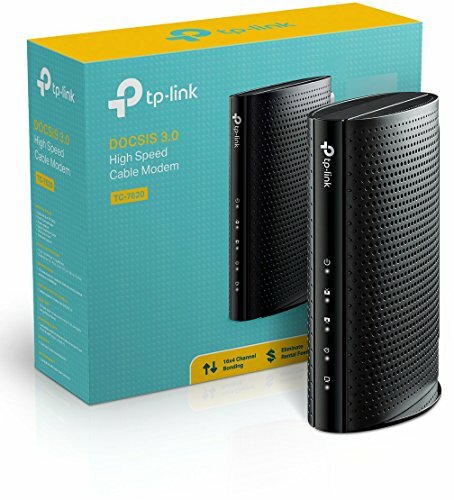 The TP-Link TC-7620 is a standalone modem and with 690mbps download speeds, its a great choice for internet plan speeds up to 300mbps. TP Link is a well known modem and router manufacturer that offers a 2 year warranty and free 24/7 technical support, making it simple and easy to replace your current rental modem. This device is compatible with most major US cable internet providers. Note that this modem does not come with WiFi and requires a separate router - we recommend a quality or mesh network router.